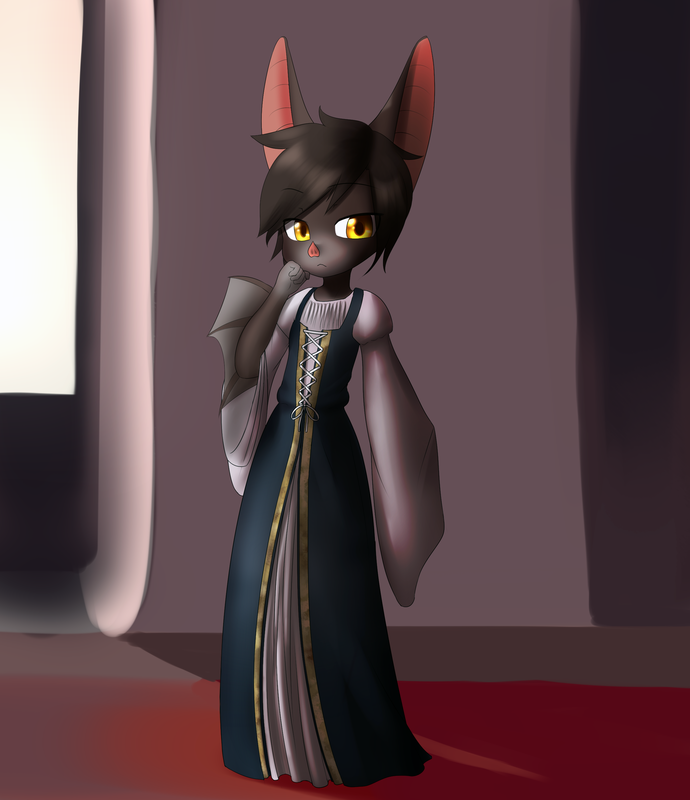 This is Talia, she's a part of the biggest noble family in the city, the same city that Ariana attends magic lessons. Her family is one of the very few noble families that isn't a lineage of mages. Though she does have something in common with other nobles, she has a secret that she absolutely can't let come to the public eye. JAmes made her look absolutely adorable. Bats, when done correctly, can be very cute. I'm all in favor of cute bats, and Talia is adorable!